Don't know about you, but I've had about enough of this cold. My eyes are strained from staring at all this whiteness... I think it's time for some art yarn spinning. I got some gorgeous batts from our pal Leslie of Spinning Spinderellas. I need to make up some sample yarns for the Art Yarn class I'm teaching in April at the DFW Fiber Fest. This is a blast. I tend to spin very practical yarn most of the time, but art yarn techniques give me the chance to let my hair down and go crazy. If this doesn't knock you out of the winter blahs, I don't know what will. 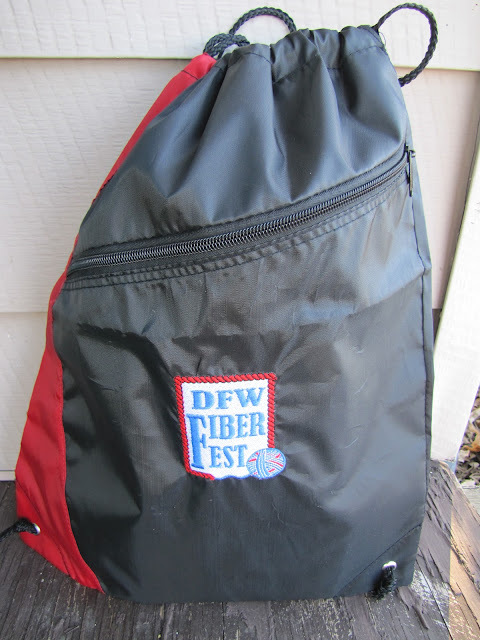 Check out the DFW Fiber Fest, April 8-10 in Grapevine, TX if you're in the area. Not only classes, but vendors, and all your yarnie pals. On Saturday I'll be teaching a beginning drop spindle class, geared toward knitters who want to begin making their own yarns, and also the art yarn class for spinners who want to add a bit of pizazz to their repertoire. I hear there are a few openings left in both classes, but as the weekend approaches, those may fill up. Wow, Cindy, these are great. Did you whip these out yesterday? Yay Cindy! I think the Navajo plied is my favorite! And you just taught me that plyed is actually spelled plied! Now how do you spell Yay? Haha! No really, great job! Yes, that Navajo plied is amazingly gorgeous! I like the sequence of your pictures too; it reminds me of a fading west texas sunset. ok - maybe that will help the winter blah! This weekend? why freezing rain of course! Got some juicy rovings to spin up! Oh, I WANT that bike BTW- can we somehow transport it to Philly?! I so want the Starship Enterprise's transporter! They are all gorgeous! Especially the Navajo. Gorgeous Yarns!!! I love them all.